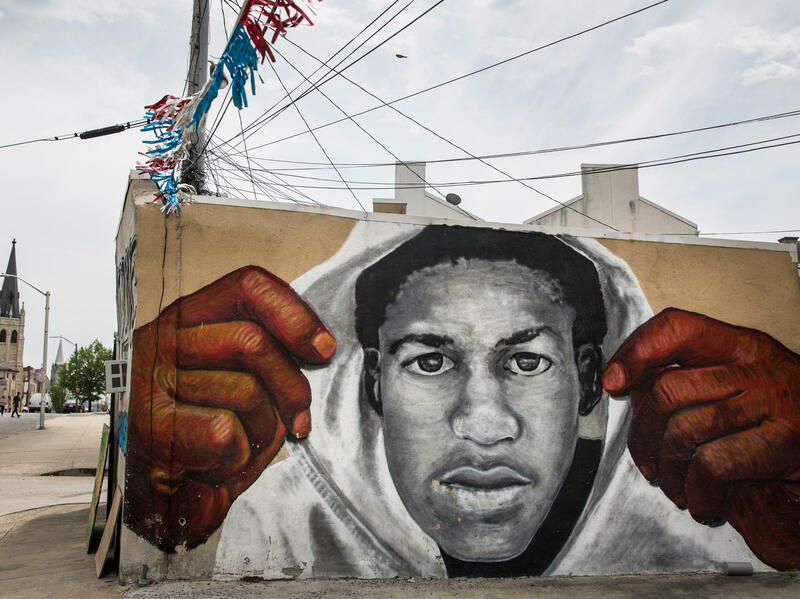 A mural of Trayvon Martin is seen on the side of a building in the Sandtown neighborhood where Freddie Gray was arrested on April 30, 2015 in Baltimore. Trayvon Martin was an unarmed African American high school student who was shot and killed by a neighborhood watch member in Feburary 2012 in Florida. 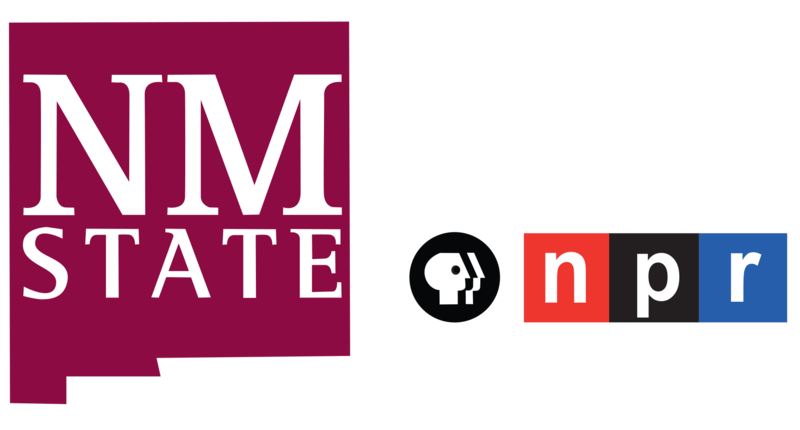 Paramount Network presents "Rest In Power: The Trayvon Martin Story," a six-part documentary series on Monday, July 30 at 10:00 PM, ET/PT. Filmmakers Julia Willoughby Nason and Jenner Furst (the duo also did Time: The Kalief Browder Story) thought it was important to revisit Martin's death, Zimmerman's trial and the effect that Florida's Stand Your Ground law had on both. The result is a six-episode series, Rest in Power: The Trayvon Martin Story, which airs on the Paramount Network through early September. In the beginning, as the series shows, there was a lot of sympathy for Trayvon's death. Even people like Donald Trump and (then) Fox News host Bill O'Reilly thought the loss of the 17 year-old was, in Trump's words, "terrible." Until Barack Obama, who often was famously reluctant to speak to the country on issues of race, decided to weigh in. "Obviously, this is a tragedy. I can only imagine what these parents are going through," Obama said in his trademark measured cadence. "And when I think about this boy, I think about my own kids." Then, after speaking about the importance of letting the investigation run its course he said this: "You know, if I had a son, he'd look like Trayvon ... "
The series tells how those few words turned George Zimmerman from a stalker-y adult into a victim, a person who was being (metaphorically speaking), beaten up by the most powerful man in the world. "Zimmerman is not being treated fairly," O'Reilly said on Fox. "Now, George Zimmerman was the victim of a president who was overreaching," says director Jenner Furst. Stories began to leak out: Trayvon had been skipping school. He'd been suspended for writing "WTF" on a hallway locker. Trace amounts of THC, the chemical that usually indicates marijuana, had been found in his system, according to a forensic report. Suddeny he wasn't the sweet-faced 17-year-old with the impish sense of humor, he was a Bad Guy. 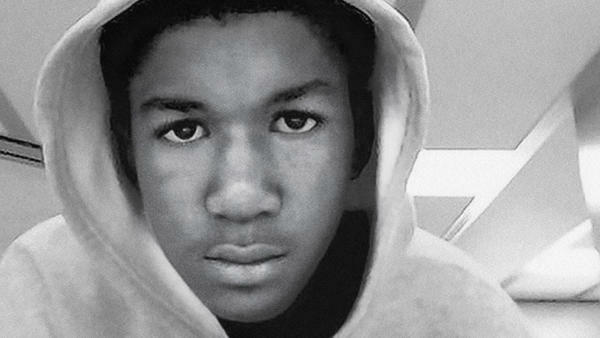 "Trayvon was the victim in this case," his father, Tracy Martin, told NPR. "They tried to make him the villain in this case." And not just Trayvon. During the initial jury questioning, Tracy Martin and his ex-wife, Sybrina Fulton were criticized, too. "Being a single parent with two boys of my own," one potential juror said during questioning, "I don't want to judge, but I just want to say this could have been prevented had he not been up here." As the trial went on, the atmosphere in Sanford became even more charged and polarized. White nationalists and the alt-right adopted Zimmerman's cause, seeing in him a martyr being sacrificed on the altar of political correctness. Protestors for racial justice marched, and clashed with them. The scene bristled with satellite dishes, high on their stalks that took everything in like heavy-headed sunflowers. Florida's Stand Your Ground law is the character that's unseen, but very much felt in this series. "I think that it's very shocking to examine how a lobbying entity was able to rewrite the definition of murder in this country, and how Florida was used as a laboratory to explore these gun laws, which are now commonplace in America," says director Jenner Furst. The NRA declined to talk to him and co-director Julia Nason. The organization remains a strong supporter of Stand Your Ground laws and said in 2012 that such legislation enables "lawful people to defend themselves, and deters would-be murderers, rapists and robbers." In the end, he was acquitted. The six female jurors found the state had not made a strong enough case to prove that Zimmerman had committed second-degree murder. Tracy Martin and Sybrina Fulton were determined that some good would come from their son's death. Shortly after the trial, they established the Trayvon Martin Foundation, which is dedicated to helping parents and families that have lost children to gun violence. They speak out frequently against Stand Your Ground laws. The series links Martin's death and the trial with the rise of the Black Lives Matter movement, which soon became a national force. When people push back and ask why all lives shouldn't matter, Sabrina Fulton has a ready response: "It's not taking away from anybody else's life," she says, "it's just putting emphasis on black lives because black lives seem so ... disposable." Fulton says she is heartened by the activists of all races who supported them during the trial and are still advocating for justice for others who don't look like them. "We didn't get into this situation with just African-Americans, and we're not going to get out of this situation with just African-Americans," she insists. "I think all races understand it's not about civil rights, it's about human rights." The work keeps them busy, Tracy Martin says, but they never forget what they've lost. "For many people it's a story, but for us it's our life. We relive the story every day," he says. "Even though we can't save our son, we want to save someone else's son or daughter."